XN 900/ 902/ 905 incorporates the features, which made it synonymous with quality, robustness and longevity. The terminal has an aluminium housing and although being a fully open PC terminal it incorporates no moving part (e.g. hard drive or fan) to provide a designed 4.5 year MTBF. 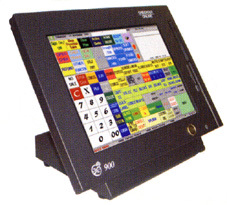 Running Windows CE & ICRTouch software its the perfect solution. Connections: 1x USB Port, 3x Serial COM Port (2x Standard com port, 1x Powered COM port) 1x Floppy disk drive via proprietary port 1 x analogue VGA monitor port 2 x Cash drawer port, PS2 keyboard and mouse connection.